On Tuesday, the Foreign Ministry said Prince Ali at the Foundation's headquarters, and they discussed the outline of future cooperation. 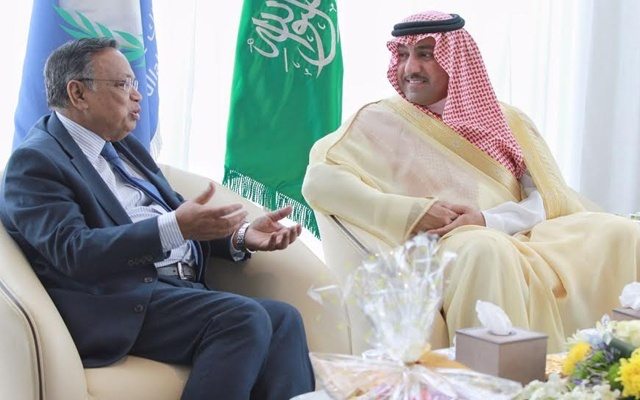 Ali Saudi Arabia April 24 to April 26, was visiting, the former Saudi Foreign Minister Prince to attend a discussion on the life of Saud Al-Faisal. King Abdullah to give support to Bangladesh devastated southern Bangladesh, the International Foundation for the project cyclone 'Cidr ". He built flood shelters to school for refugee children. They also have local people work for the rehabilitation and assistance to farmers, small entrepreneurs and low-income people to productive capital to rebuild. Department in cooperation with the King Abdullah Foundation and the Islamic Development Bank to monitor the implementation of the project.